ICP representatives were among those who attended a major international conference on integrated care in Spain recently. Running from 1-3 April, the conference brought together researchers, clinicians and managers from around the world who are engaged in the design and delivery of integrated health and social care. With the overarching theme ‘Evaluating and implementing models of integrated people-centred services’, the conference was a partnership of OSAKIDETZA – Basque Health Service, Bioef, Ministry for Health of the Basque Government, the City Council of Donostia-San Sebastian and the Provincial Council of Gipuzkoa. Meanwhile, Director of Integrated Care, Dr Sloan Harper was joined by ICP members, Dr Grainne Bonnar, chair and and GP lead of the West Belfast ICP, and Ards ICP carer rep Allan Leonard, at the Northern Ireland Healthcare Leadership Forum in Belfast on 4 April. Among those who attended the event, focusing on transformation initiatives, were the Department of Health’s Permanent Secretary Richard Pengelly and Professor Charlotte McArdle, Chief Nursing Officer. 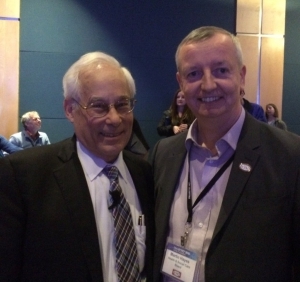 Finally, Martin Hayes, ICP project director, visited New Mexico in March for the annual MetaECHO conference, which brought together 1000 members of the worldwide ECHO movement. 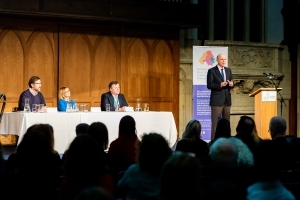 This was an important opportunity to share how Project ECHO is helping support the delivery of integrated care in Northern Ireland and also to learn from the work that is underway across the world.